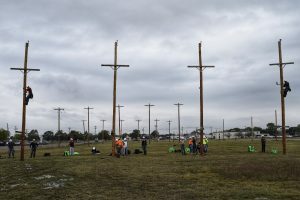 (WACO) – An information clearinghouse for higher education rankings has put Texas State Technical College at the top of the power pole in Texas. 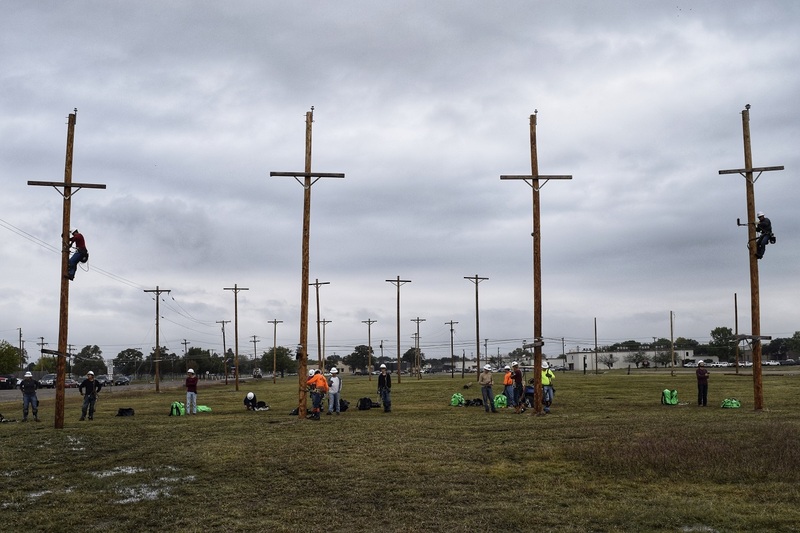 Universities.com has named TSTC as having this year’s best Electrical Lineworker Technology program. The TSTC program has 80 certificate and associate degree students this fall. The program accepts 35 new students each semester. Some of the classes students take include Climbing Skills, Distribution Operations, Live Line Safety and OSHA Regulations – Construction Industry. The program mixes classroom lectures and hands-on learning at its on-campus pole lab. Program faculty teach the students about professionalism, teamwork and safety. “If they are not good at the skills, they do not make it through this program,” said Cheryl Lloyd, a TSTC program maintenance specialist. Eric Cobb, 32, of Copperas Cove is studying for the program’s associate degree and is scheduled to graduate in 2019. Cobb learned about the career field by watching YouTube videos. Some of his favorite things about the work are troubleshooting and maintaining high-voltage electricity. After graduation, Cobb wants to work in the Austin or Copperas Cove areas. Theodore Lozano, 31, of Waco is scheduled to graduate with a program associate degree next year. He was attracted to the electrical field because of the physicality and not having to spend hours behind a desk. “I definitely made the right decision career-wise,” Lozano said. Lozano’s job plans are to relocate where he can make the best salary for his family. Lloyd said students garner at least one job offer upon graduation. Some of the companies that have hired students include Austin Energy, Oncor and Pike Electric Corp.
“We are very lucky to have support from major power companies, cooperatives, municipalities and contractors that support us on our statewide advisory board committee that provides feedback on current curriculum needs and upcoming changing policies in the industry,” Carithers said. TSTC also offers the Electrical Lineworker Technology program in Fort Bend County and Marshall. This entry was posted in Waco on November 9, 2018 by Daniel Perry.